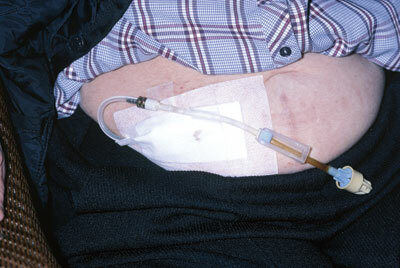 (HealthDay News) — Patients undergoing peritoneal dialysis (PD) and their caregivers report that PD-related infection, mortality, and fatigue are outcomes of the highest importance, according to a study published online in the Clinical Journal of the American Society of Nephrology. Karine E. Manera, from the University of Sydney, and colleagues sampled patients with PD and their caregivers from nine dialysis units across Australia, the United States, and Hong Kong. The authors sought to examine patient and caregiver priorities for outcomes in PD and the reasons for these choices. They noted that the absence of accepted patient-centered outcomes in research can limit shared decision making in PD. One hundred twenty-six participants (81 patients, 45 caregivers) identified 56 outcomes. The researchers found that PD infection, mortality, fatigue, flexibility with time, blood pressure, PD failure, ability to travel, sleep, ability to work, and impact on family were the 10 highest-ranked outcomes (importance scores ranging from 0.12 to 0.27). Five themes were identified: (1) serious and cascading impact on health, (2) current and future relevance, (3) maintenance of role and social functioning, (4) need for constant vigilance, and (5) beyond control and responsibility. “This study helps uncover which outcomes and findings are important for patients and their families to know about, so that research can become more relevant to its end-users and ultimately help patients and their families make informed decisions about their treatment,” Manera said in a statement.